One Server Hosting is a division of IsoFusion, a leading provider of Internet access and IT services in the Puget Sound region. With more than 20 years of experience in Internet connectivity and IT services IsoFusion is one of the largest privately owned Internet service providers in the Northwest. IsoFusion's veteran management team, solid technical foundations, and dedication to helping customers achieve their Internet goals make IsoFusion the best choice for Internet and IT services. Learn more about One Server Hosting's parent company, IsoFusion. 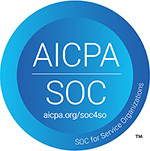 One Server Hosting has acquired SSAE certification for our data centers and operations. SSAE (Statement on Standards for Attestation Engagements) 16 replaces the original standard, SAS 70, for nationally recognized reporting on controls for service organizations. SSAE 16 was formally issued in April 2010 with an effective date of June 15, 2011 and again reviewed and renewed in November 2016. Having met the most current national compliance requirements, One Server Hosting is verified as the best choice for the security needs of your organization when it comes to data center and internet services.